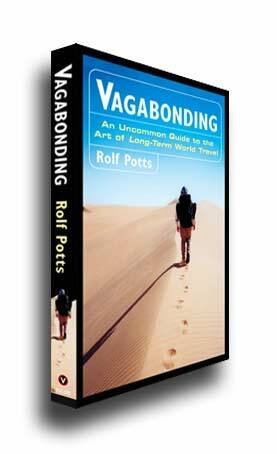 Vagabonding; An uncommon Guide to the Art of Long-Term World Travel is an enriching and enlightening book that I highly recommend — not only to would-be travelers, but also to the most deeply entrenched suburbanites. It is a fast page-turner that will continue to challenge your view of the world and of yourself. Potts is perhaps best known for promoting the ethic of independent travel through this book (which has been through 13 printings to date), and has reported from more than sixty countries for the likes of National Geographic Traveler, The New Yorker, Slate.com, Outside, the New York Times Magazine, The Believer,The Guardian (U.K.), National Public Radio, and the Travel Channel. A veteran travel columnist for the likes of Salon.com and World Hum, his adventures have taken him across six continents, and include piloting a fishing boat 900 miles down the Laotian Mekong, hitchhiking across Eastern Europe, traversing Israel on foot, bicycling across Burma, driving a Land Rover across South America, and traveling around the world for six weeks with no luggage or bags of any kind. Learn more about him on his website.